Speaking of trekking in NZ, most people would think of world-famous Great Walks, such as Milford Track, Routeburn Track, and Keplar Track. Although these tracks are truly beautiful, they are only a small part of vast mountainous ranges in NZ. 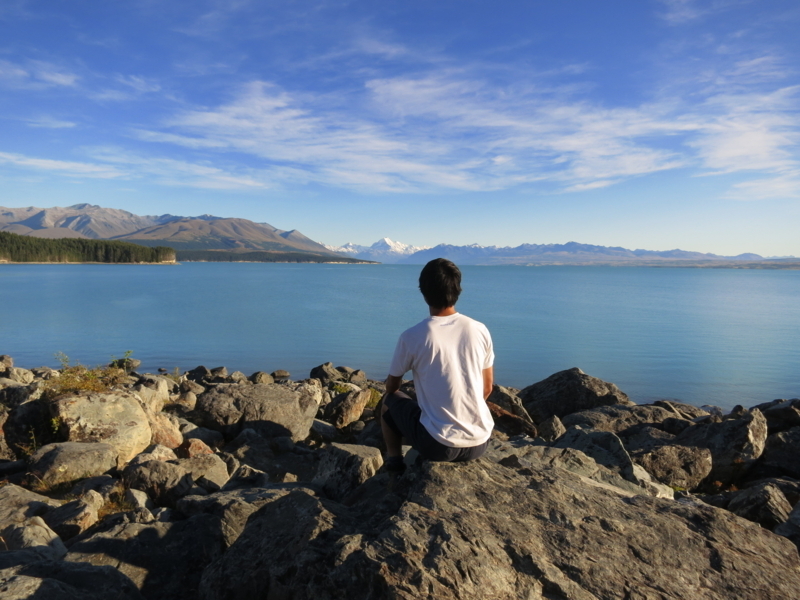 This time, I would like to enjoy tramping (trekking or hiking is called tramping in NZ and it's a concept unique to NZ) off the beaten track just as I enjoy it in Japan, planning a route, preparing maps and collecting necessary information on my own. Today, I will introduce the information I have got so far. 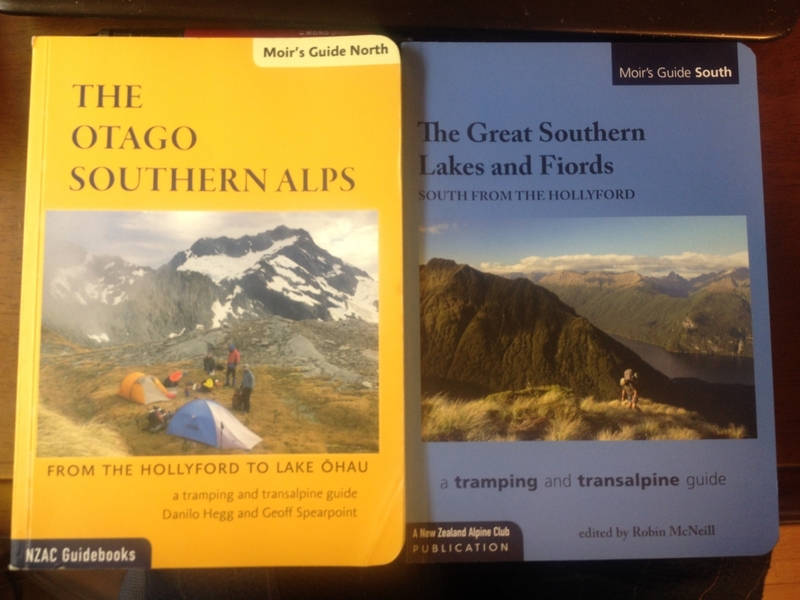 Moir's Guide series, which was first published in 1925 and has been updated regularly, is the most comprehensive and reliable book when you enjoy tramping and mountaineering in NZ. Moir's Guide has North and South series, and mainly introduces Mt. Aspiring National Park and Fiordland National Park respectively. New Zealand Tramper is a really useful website. It has introduction of tramping routes around the country, and also has forums where users can ask questions or exchange beneficial information. 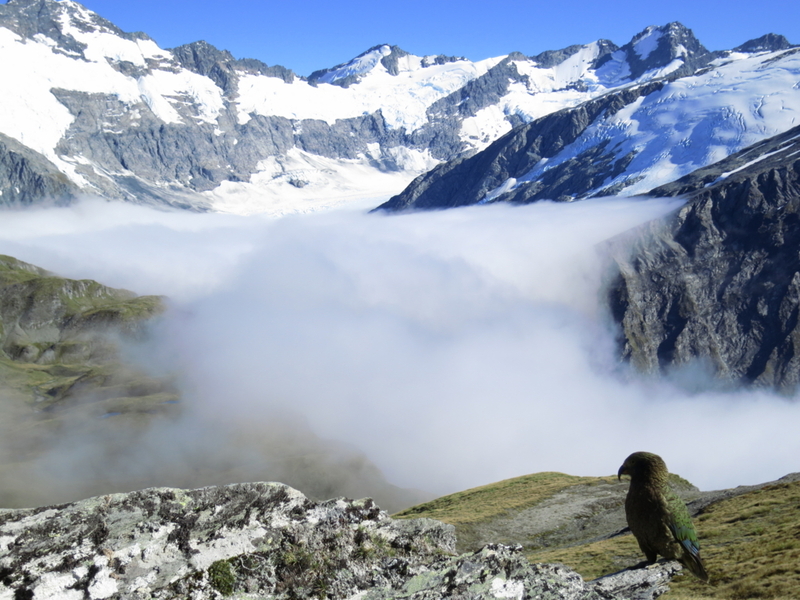 This Tramping and Mountaineering Club (TMC), which is based in Duniden, has records and photos on its website, and quite useful when you want to imagine what it's like to enjoy tramping in NZ. 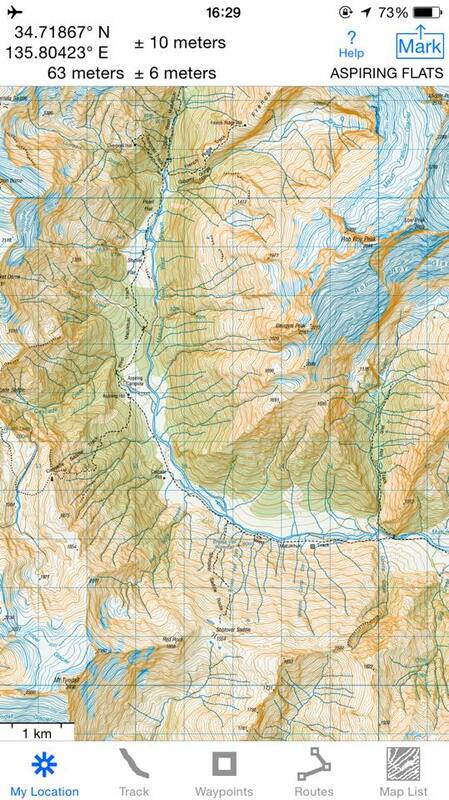 Topographic maps in NZ can be found on the Internet and accessible for anyone. You can browse them as you like and make a rough plan. 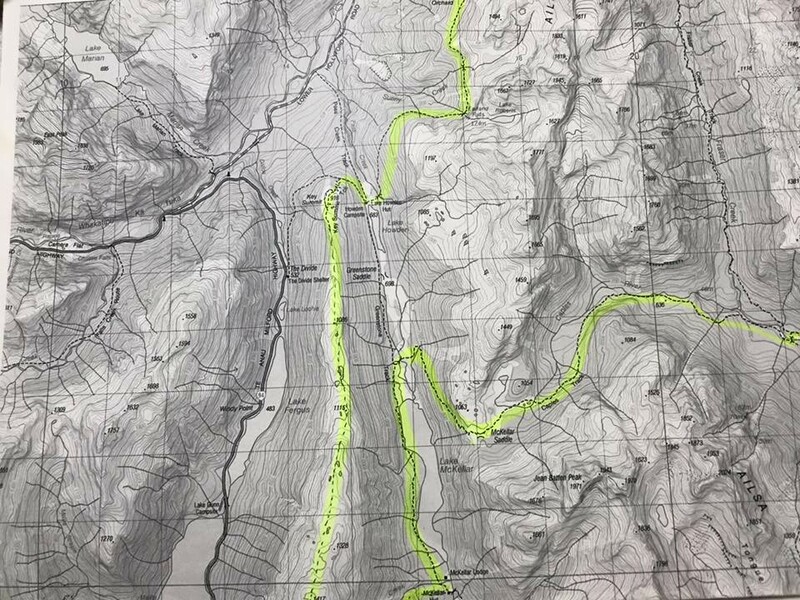 After making a rough plan, you can download the maps you need from Land Information New Zealand(LINZ) and make a photocopy of them. Next, refer to books or previous records found on the internet and write down necessary information on the copied map to make a more detailed plan. By using paper maps together with the GPS app below, you can reduce the risk of getting lost.